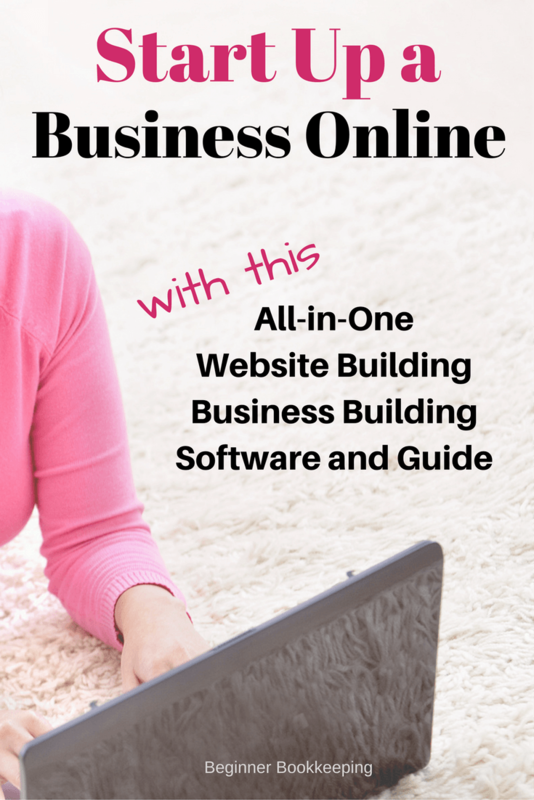 Build a website online and start up a small business with this all-in-one, website building, business building tool so that you can work for yourself and work from anywhere. I did it. The website I built online is Beginner-Bookkeeping.Com, the site (blog) you are on now. The all-in-one platform I use is SBI! (Solo Build It!). After using SBI! for seven years I have decided to share more about it because it has helped me to be successful enough to work from home, working my own hours, doing what I love. If you have a hobby or interest that you love and want to share with other people, or if you have a burning desire to work for yourself and earn an income, or if you want to make money on the side whilst working your day job, then you are in the right place. 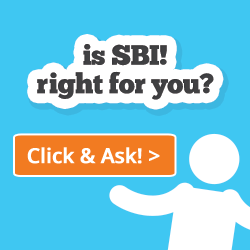 If you are unsure about what you know or can do a website about, SBI! has the tools to help you narrow down what you could do based on your knowledge so that you can work from home (or anywhere). Also, you can use SBI! if you already have a business (local, brick and mortar) and require a good website (blog) for it. SBI! was started by Ken Evoy over 15 years ago, and he now has a large team to help him keep it running. SBI! offers more than just building a website online, they can help you build an online business – the website is the business. It is an ideal way for individuals who want to have a lifestyle of working for themselves, with flexible hours, working from wherever they wish. Often, these individuals build the business themselves without hiring employees but who sometimes contract certain tasks out to other businesses. These people are working solo > they are solo entrepreneurs > solopreneurs! SBI! is perfect for solopreneurs. This is not a get rich quick scheme and you will need to work to make it successful. Take the video tour and you will get a better idea of what SBI! can do for you. For inspiration, read these case studies and testimonials from real life Solopreneurs using SBI! They are people from all walks of life, telling you in their own words how they made it with SBI! Having an SBI! site is like having a turbo-charged Yellow Pages advert. You can read here how SBI! helps local businesses get customers when they build a website online. There are many brick and mortar local business with employees that use SBI! to build their websites online. There is way more to building a website than just writing up a few pages about a business and hoping it will somehow be found on the internet search engines. Having access to SBI!s resources and tools enables business owners and their employees to build the website without paying thousands of dollars to a website developer, and ensuring that it can easily be found on the internet, and be the best it can be. What are the tools to build a website online and a business? I've highlighted here some of the main tools that are all built-in to SBI! – you will not have to leave the platform to find plugins made by other businesses like what must be done with WordPress. These tools all make it easy for anyone with no previous website knowledge to build a website online and start a profitable business. With SBI! you can register your domain name, have your site hosted by them, and use their Site Designer and Block Builder tools to build a website online that looks unique and is fully mobile friendly. There is a wide range of responsive templates to choose from that you can customize (or you can upload your own html designs if that’s your thing), you can add images and you can integrate social media widgets such as Subscriber Opt-in forms and Facebook commenting. 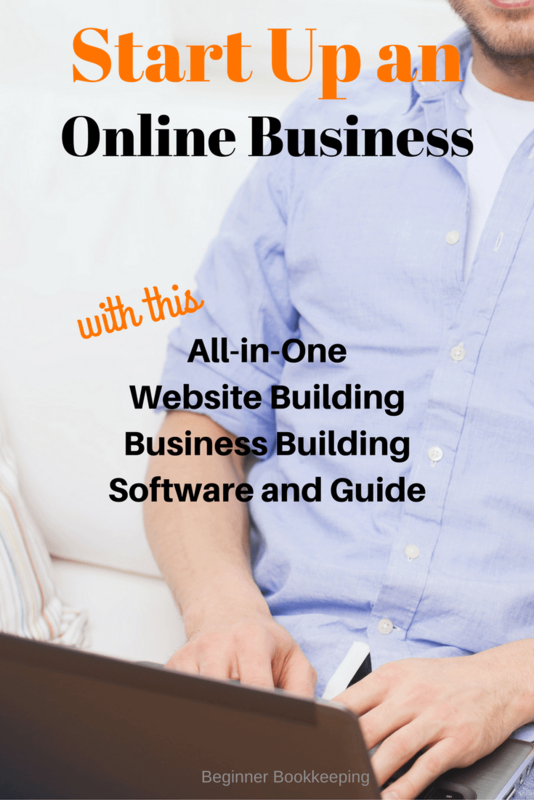 A complete, step-by-step course of videos and downloads that takes you by the hand and shows you how to build a website online and how to make it a business. You can turn this feature on so that each content page you add to your website is turned into a blog format with RSS feed. No need to have a whole separate blog. You can also use ‘bloglets’ for special announcements or extra things you want to say. Use Analyze It to ensure your content pages are optimized for high search engine rankings, meaning that when you build a website online it will be more easily found, driving more visitors to your business. You will also have access to a variety of traffic reports and can integrate with Google Analytics. You will also learn how to promote your website on all the main Social Media platforms such as Facebook, Pinterest, Instagram, Twitter and a few others. You will learn about all the different ways you can make money online and how to implement them. This includes sponsored ads, providing products such as eBooks, and affiliate marketing, just to name a few. Get your site visitors to subscribe to your email list and send them updates, tips, news and sales emails. You can also use MailOut Manager as a platform for email courses. Any of the experts out there will tell you that a subscriber list is a must-have pot of gold and is something you should start right away. MailOut Manager guides you on the correct way to email your list so that you are not flagged as spam and penalized. If you prefer using Mailchimp, SBI offers integration; or if you prefer using some other subscriber platform you can easily add in the platform’s opt-in form coding to your website to set this up. The forums are an amazing source of information where motivated and generous SBIers contribute tips and tricks to help you build a website online and enhance your business, and where you can ask questions and get all sorts of help. You can also get personal help directly from SBI’s customer support team being assigned to the same support person all the way through your website building online. 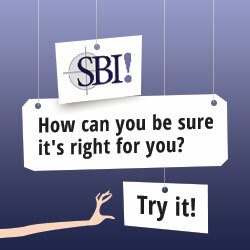 Read more about all the resources and tools SBI! has. Ken and his team always keep up to date with the latest web changes and look for ways to improve the whole system. They contact SBIers with every important change or with advice for keeping abreast of current world-wide web requirements. If you prefer using Wordpress to build a website online, you can! And you can still subscribe to SBI! to use their business building tools in conjunction with your Wordpress site. There is an annual subscription of US$299.00 or a monthly subscription of US$29.99. (If you can afford to pay the annual plan, you are saving US$60.00). This includes the website building technology, plus the business building tools and resources. The annual SBI! cost is US$149.00 or a monthly subscription of US$17.00. (If you can afford to pay the annual plan, you are saving US$50.00). This is only for the business building tools and resources as you will already be using WordPress for the website building. When I started out, I went for the monthly subscription. I saved $10 a week out of my pay and used that savings to pay the the full monthly subscription until I could change to the annual plan. I have more than recouped all the costs of the subscription and continue to do so now that my online business makes a healthy profit. The costs include all the tools that you need to succeed. The only extra costs that I chose to pay for in the first few years was for images for each page of content, but there are now a lot of websites online that offer free graphics. If you are still unsure if SBI! is right for you then use their money-back guarantee to test drive it for 90 days and if you are not satisfied, cancel your subscription and get your money back. If you are using a WordPress website and are just interested in the business building resources, you can trial it for one month free. Almost all Solopreneurs fail to thrive due to the combination of "not enough time" and poor process (incomplete or mixed up). The solution? Focus ALL your time on the only up-to-date process that has a 15 year track record of online Solopreneur success. Solo Build It! actually increases the likelihood of success by 100X (no typo, no exaggeration).